Carmody nabs Commerce chair – Shreveport state Rep. Thomas Carmody has been appointed chaiman of the House Commerce Committee by Speaker Taylor Barras, R-New Iberia. Two other area representatives were appointed as vice-chairmen. Republican state Rep. Jim Morris of Oil City, who represents House District 1, was named vice-chair of the influential Ways and Means Committee, which is the tax-writing panel in the House. Republican state Rep. Mike Johnson of Bossier City, who was elected in 2015 to represent House District 8, will serve as vice-chair of the House Judiciary Committee. Here are the committees on which northwest Louisiana representatives will serve: Jim Morris, R-House District 1 – Ways and Means Committee (vice chair); Natural Resources and Environment Committee. Sam Jenkins, D-House District 2 – Civil Law and Procedure Committee; House and Governmental Affairs Committee, Municipal, Parochial and Cultural Affairs Committee. Barbara Norton, D-House District 3 – Municipal, Parochial and Cultural Affairs Committee; Transportation, Highways and Public Works Committee. Cedric Glover, D-District 4 – Commerce Committee; Insurance Committee; Municipal, Parochial and Cultural Affairs Committee. Alan Seabaugh, R-District 5 – Civil Law and Procedure Committee; Insurance Committee; Labor and Industrial Relations Committee. Thomas Carmody, R-District 6 – Commerce Committee (chairman). 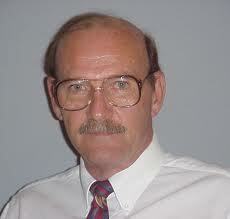 Larry Bagley, R-District 7 – Health and Welfare Committee; Labor and Industrial Relations Committee. Mike Johnson, R-District 8 – Judiciary Committee (vice chair); Civil Law and Procedure Committee; Health and Welfare Committee. Dodie Horton, R-District 9 – Education Committee; Labor and Industrial Relations Committee; Ways and Means Committee. Gene Reynolds, D-District 10 – Agriculture, Forestry, Aquaculture and Rural Development Committee; Commerce Committee; Education Committee.